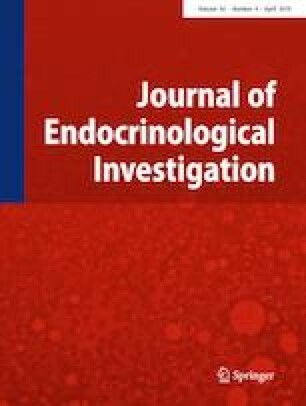 This is a longitudinal study of retrospective data aimed at verifying whether repeated measurements of serum non-stimulated thyroglobulin (Tg) allow the prediction of persistent disease in patients with differentiated thyroid cancer (DTC) and indeterminate response. We examined 145 DTC patients with indeterminate response to therapy followed up for a median time of 68 months. Tg measurements and neck ultrasound (US) were performed every 6–12 months. The changes over time of repeated measurements of basal Tg were analyzed through the multilevel linear regression. Seventy (48.3%) out of 145 patients spontaneously achieved an excellent response, while persistent indeterminate response was observed in 62 (42.7%) patients. The remaining 13 (9.0%) patients had progression: 3/13 with biochemical disease and 10/13 with structural disease. Tg steadily increased in patients with progressive disease (mean percentage change + 27.1% at each follow-up visit), while Tg decreased in patients without any evidence of progression (mean percentage change − 8.8%). This different trend between the two groups was not related to either different values of median TSH at baseline (0.32 vs 0.28 mIU/l, respectively) or to different trend of TSH during follow-up (p = 0.76). Basal Tg values did not increase in three out of ten patients with structural disease that was identified by neck US. The importance of the study is that, in DTC patients with indeterminate response, rising values of unstimulated Tg, independently from the basal levels, may be useful to identify patients with progressive disease. These results are also useful to avoid unnecessary TSH stimulation. This work was supported by the Italian Ministry of Education, Universities and Research to F.F. The study was carried out in accordance with the recommendations for retrospective studies of the Institutional Review Board. Written informed consent was obtained from all individual participants.